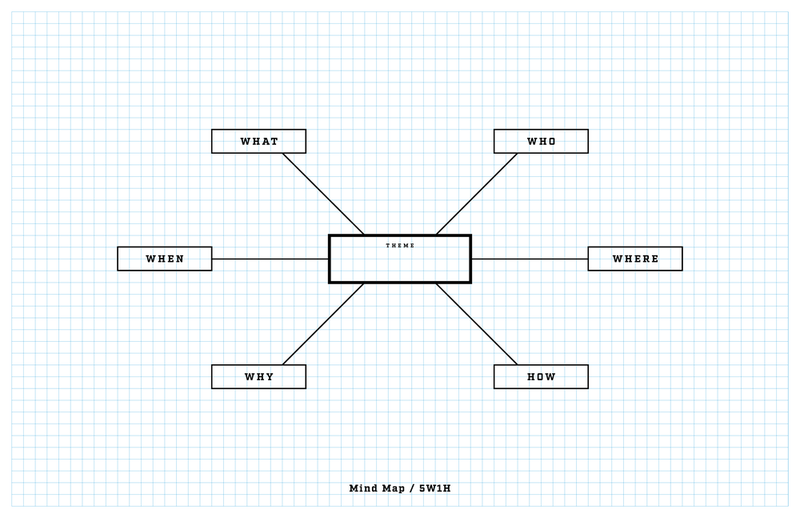 Also called "radiant thinking," mind mapping is a form of mental research that allows designers to quickly explore the scope of given problem, topic, or subject area. Starting with a central term or idea, the designer quickly plots out associated images and concepts. Mind mapping was developed by Tony Buzan, a popular psychology author who has promoted his method through publications and workshops. 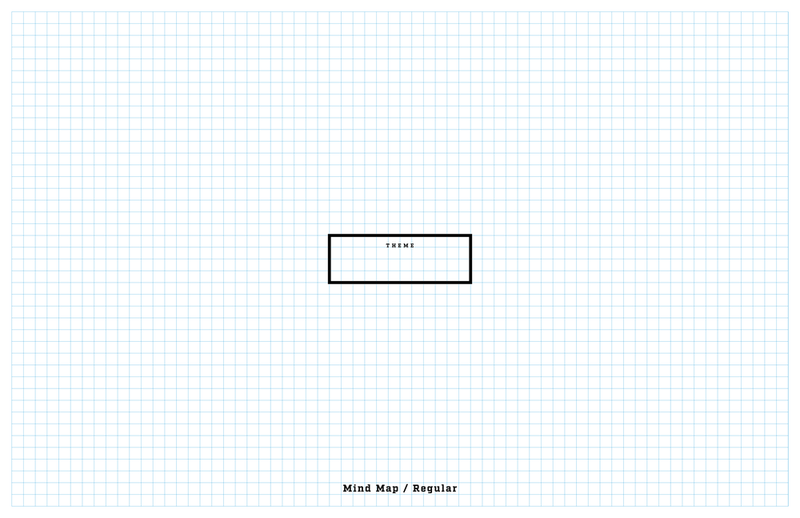 Although Buzan delineated specific rules for mind mapping, such as using a different color for each branch of the diagram, his method is employed more loosely and intuitively by countless designers, writers, and educators. Focus. Place one element at the center of the page. Branh out. Create a web of associations around the core phrase or image. If you like, use simple pictues as well as words. Organize. The main branches of your map can represent categories such as synonyms, antonyms, homonyms, related compound words, clichés, stock phrases, and so on. Try using a diffrent color for each branch you develop. Subdivide. Each main branch can feed smaller subcategories. Work quickly, using the process to free up your mind. Make connections. Make connections between keywords. Build time into your idea generation process to evaluate your design sketches. Don’t fall in love with first idea that seems to emerge magically from your mechanical pencil or sharpie. Be willing to rethink your freshest ideas to see if there are any new, unexpected directions that will spawn even better ones. The SCAMPER checklist is a time-tested tool that will help you. If you have a few strong ideas, putting them through this checklist will confirm their strength—and maybe even create some brand-new ideas. This idea synthesis checklist was suggested by Alex Osborn, the advertising executive who coined the word “brainstorm.” It was arranged into the SCAMPER mnemonic by writer Bob Eberle.